How pleased was I to open this week’s surprise Graze box contents. There were two new snacks, including one of the new Graze desserts. Twist of Black Pepper Popcorn reviewed here, My Thai reviewed here and the newbies called Sticky Toffee Pudding and Omega Booster Seeds. This is an old English favourite. One of those rich, gooey, extremely fattening but oh so delicious desserts that seem to pile on the pounds with just a sniff. I haven’t eaten a sticky toffee pudding for many years, purely because of the calories. But finally, here is a version from Graze which I could happily eat all by myself without the slightest trace of guilt. It comes in a split pot with the pudding/cake part on the right and the sauce in a smaller section on the left. The pack states that you can eat it cold or warm in the microwave for 10 seconds, which I did. 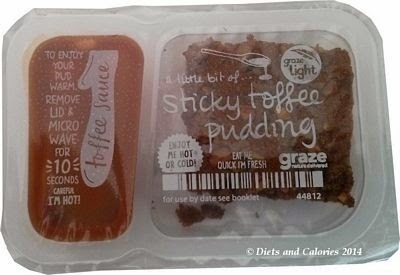 The toffee sauce is the same sauce that can be found in some other Graze snacks such as the Toffee Apple (See review). This sauce is totally scrumptious, smooth and creamy with a buttery caramel flavour. I tried a bit of the cake part on its own first. 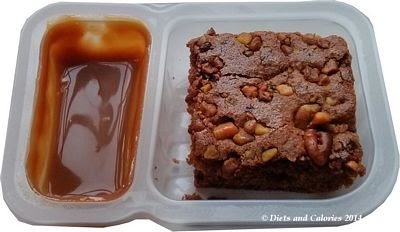 This has a soft, moist texture with a toffee flavour. Dipped into the toffee sauce and I was in heaven. Actually, I didn’t eat it all alone. 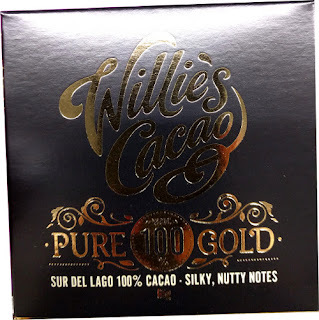 I did offer some to my hubby who was more than happy to offer his own expert verdict. We’re both in agreement, this is a pretty good and I’d love it to be delivered in every box. This gets a rating of (Love). Calories for the punnet: 142. 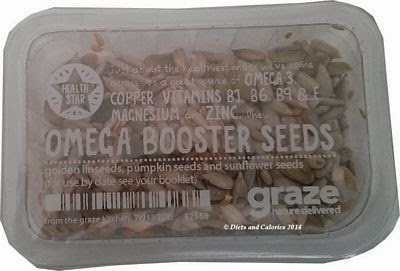 Omega booster seeds is a combination of sunflower seeds, golden linseeds and pumpkin seeds. They’re plain, with no fancy roasting or coatings or anything. 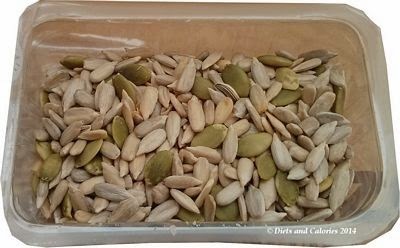 Because I already have small jars of mixed seeds at home, I left these till last. There’s not much to say except they’re a healthy snack to keep to hand. I put them into a small glass jar to keep in the fridge and sprinkle onto other things, like cereal, porridge (yum), or eaten on their own. 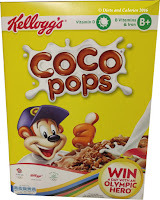 Nutrients include Vitamin E, Magnesium and Omega-3 fatty acids. This gets a rating of (Like). If you’re keen to try out a Graze snack box for yourself, you can order one completely free using this code: CAROLI8RB. All you need to do is log onto Graze, enter your details, choose your type of Graze box and enter the special code (CAROLI8RB) for your free box. 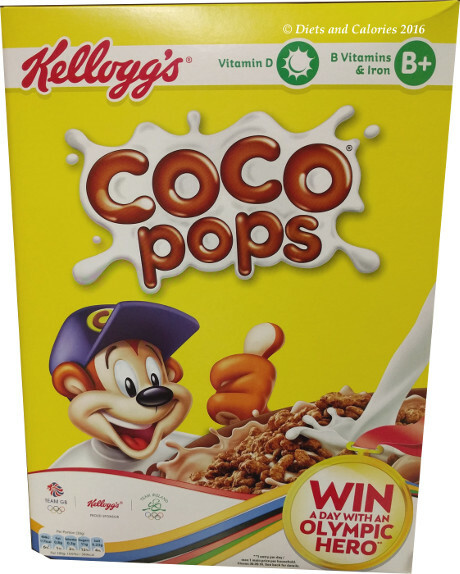 PLUS, you'll get your first, fifth and tenth boxes free and your other boxes will cost £3.89 each.